The rapidly growing field of neuroproteomics is able to track changes in protein expression and the protein modifications underlying various physiological conditions, including the neural diseases related to drug addiction. Thus, it presents great promise in characterizing protein function, biochemical pathways, and networks to understand the mechanisms of drug dependence. In this chapter, we first provide an overview of proteomics technologies and the bioinformatics tools available to analyze the data. Then we summarize the recent applications of proteomics to profile the protein expression pattern in animal or human brain tissues after the administration of nicotine, alcohol, amphetamine, butorphanol, cocaine, and morphine. 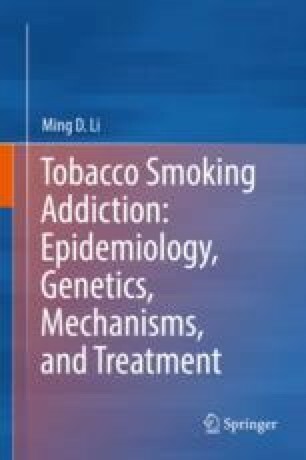 By comparing the protein expression profiles in response to chronic nicotine exposure with those appearing in response to treatment with other drugs of abuse, we identified three biological processes that appear to be regulated by multiple drugs of abuse: energy metabolism, oxidative stress response, and protein degradation and modification. Such similarity indicates that despite the obvious differences among their chemical properties and the receptors with which they interact, different substances of abuse may cause some similar changes in cellular activities and biological processes in neurons. This chapter was modified from a paper reported by our group in Molecular Neurobiology (Wang et al. 2011; 44:269–286). The related contents are reused with permission.